Black Samsung Galaxy S III 64GB Now Available to Pre-Order in the U.K.
British retailer Clove.co.uk has announced that the black Samsung Galaxy S III with 64GB of storage is now available to pre-order for customers in the United Kingdom. The unlocked, SIM-free device is priced at £600 (approx. $958), and stock is expected in “approximately two months time,” according to Clove’s blog. Aside from its 64GB of storage and black paint job, the black Galaxy S III is identical to its Marble White, Titanium Grey and Garment Red siblings. It boasts a 4.8-inch Super AMOLED HD display, a quad-core Exynos processor, and 1GB of RAM. It has an 8-megapixel rear-facing camera capable of shooting 1080p video, and a 1.9-megapixel front-facing camera. The device also offers a microSD card slot, which allows you to double the 64GB of internal storage to 128GB. That’s a massive amount of storage for a smartphone., which is great if you load yours up with music and movies. The SGS3 Black 64GB is now available to pre-order on the Clove website (placing a pre-order will not result in your card being charged). In two weeks time we will decide whether or not to take stock of the handset based on the number of pre-orders that we have received for the handset. If we have received enough pre-order interest for the handset and decide to range it, we will ask customers to confirm these pre-orders and to make payment. At this stage we will provide an updated ETA for the arrival of stock. Do be aware that from this point onwards there is likely to be a 5-6 week lead time. We will then ship orders as soon as stock arrives. I think it’s safe to say, however, that other retailers in the U.K. will be offering the device at some point. It’s likely you’ll also get in on contract later, too, which means you won’t need to pay that hefty up-front fee that comes with the SIM-free unit. 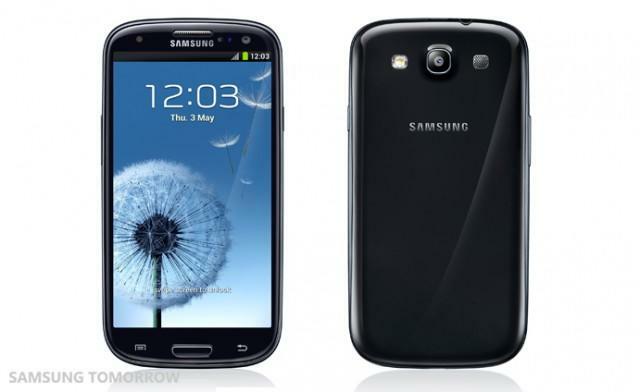 Will you be looking out for the black Samsung Galaxy S III?